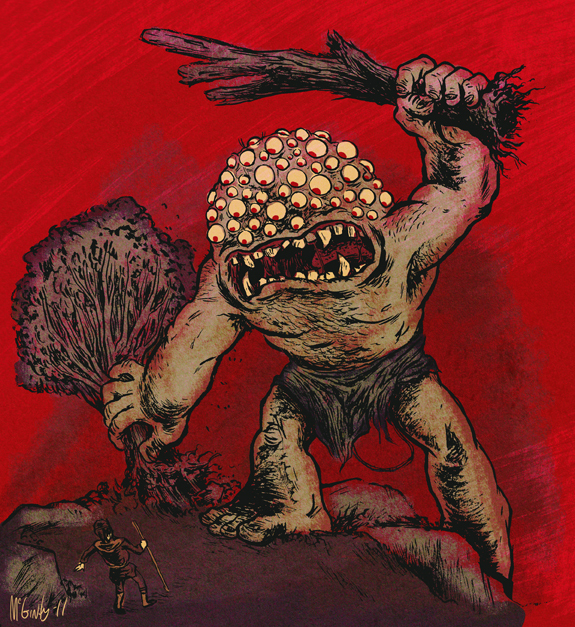 Before giving the contemporary context of what Panopticon means, let’s turn a bit in time and find roots in old legends and myths, beyond which we can later understand that surveillance and power have evolved within one concept. English philosopher and social theorist Jeremy Bentham was either inspired by the myth or by the practicality of the composed word (Panoptic –related to the eye and act of watching, and pan-as in cinematography to make a panorama of the surrounding) when he named the Panopticon his design of a type of institutional building at the end of the XVIII century. The concept of his Panopticon building described a design which allowed a single watchmen to observe inmates of an institution without them being able to tell if they are being watched or not. Although it would be impossible for one single watchman to look at everything at once, the genius of this type of building stays in the fact that the ones that are watched as they don’t know for sure if they are being watched or not, they will act as if they are watched all the time, controlling their own behavior constantly. More specifically, the design of Bentham’s panopticon building means a circular structure which has an ‘inspection house’ in the center, a tower from which the manager of staff of the institution is able to watch the inmates who are located around the perimeter. Bentham was convinced that his design was very efficient for institutions that generally need surveillance like hospitals, schools, asylums, sanatoriums, but he was more keen on applying his design to a Panopticon prison. 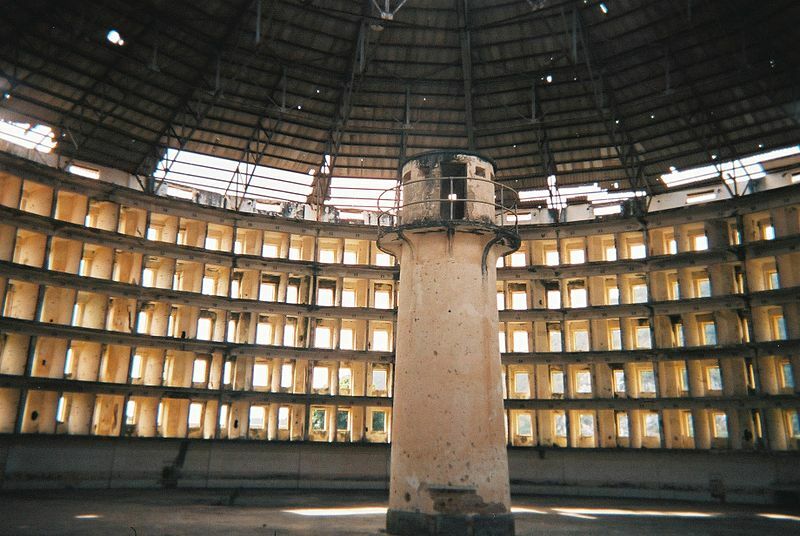 For a Panopticon prison, Bentham was thinking in terms of social reforms as in his design, the prisoners would stay in separated cells, isolated from each other, in wider spaces per person, in a cell full of light with the back wall and front wall made out of windows so that the light would make the silhouette of the prisoner more easy to be watched. Also, the number of watchmen and guards would be significantly reduced as in the ‘inspection room’ of the centered tower you would never see who is inside, thus the watchmen wouldn’t have to be there physically at all times, as the uncertainty of constant surveillance inflicts auto-controlled behavior within the prisoners. 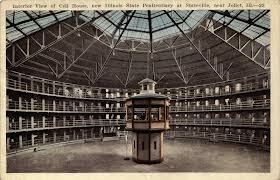 Bentham struggled a lot to receive funding for building a Panopticon prison, but it never happened in his lifetime. Today, we have some examples of prison design after the Panoticon but are not entirely after Bentham’s design. The most similar is Presidio Modelo from Cuba(closed) and Illinois State Prison of United States(operational). But they are some other types of buildings inspired from Bentham’s Opticon. Jeremy Bentham’s exact system and design was never put into practice and became almost forgotten for nearly two hundred years when the idea of the panopticon was invoked and studied by Michel Foucault in 1975, in the beginning of the global digital revolution, using the concept of panopticism as a social theory. 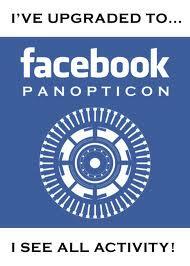 Later, Bentham’s Panopticon opposes the concept of Synopticon elaborated in 1987 by Thomas Mathiesen, a Norwegian sociologist, indicating a society of voyeurs, where few control many (as it happens with public figures and media). 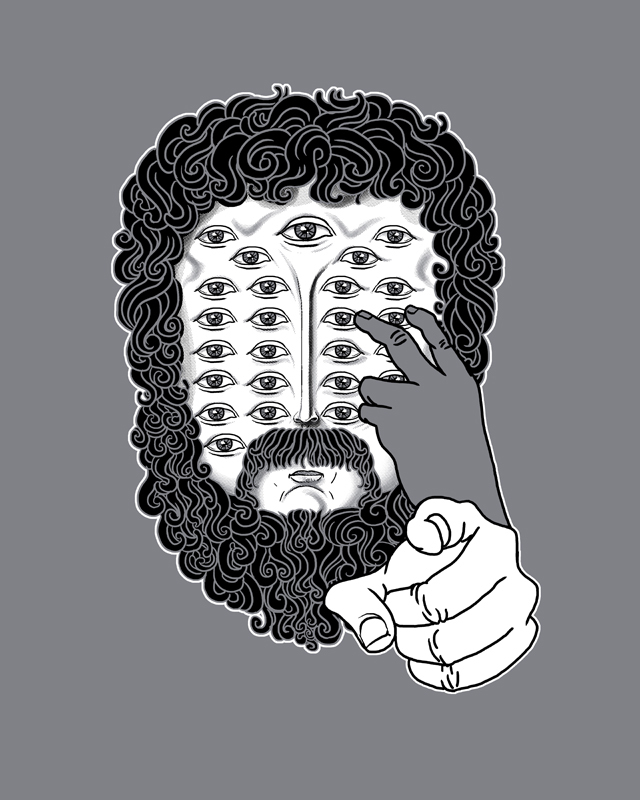 Later on, to these two concepts, it was added another one: the Omniopticon, a concept in which monitoring becomes articulated by incorporating both the panopticon and the synopticon effects, but also the control of everybody by everybody. This is what we see now happening in the hypercommunciation global networks real time structures. This enters the society of surveillance, with CCTV cameras indoors and outdoors, information and messages controlled by the government agents under the pretext of terrorism threats; millions of people sharing personal information on social networks, blogs or personal and professional profiles, or seeking information of any kind about their idols, being possible even to see where they live through Google Earth or Google Maps; and systems like Facebook or MySpace, especially Twitter, which establishes a network for continuous exchange of superficial information. Bentham’s Panopticon was criticized for his ideas as being mechanistic, reductive and inhumane approach to human lives whereas he saw it as a rational and effective alternative to societal problems. But as mentioned above, Bentham’s ideas were again popularized by the studies of Michel Foucault, in his work “Discipline and Punish”, using the Panopticon as a metaphor for modern disciplinary societies and their urge to surveillance, observe and normalize people behaviours. Foucault also observes that, as Bentham was suggesting, that not only prisons but all hierahical structures like schools, hospitals, army or factories resemble the original Panopticon system. Let’s keep in mind that Bentham was thinking all this at the verve of the industrial revolution, where productivity was the key factor and excuse of its evolution. Contemporary social critics also explain that technology has allowed the panoptic structures to invisibly evolve throughout society. May I say, the evilness of this types of structures stays in the trickery of obedience that happens within the people. There isn’t literally someone watching you all the time, but the masses have to accept the inevitability of punishment. This possibility of gaze, of threat becomes part of life. It guarantees the function of power, even when there is no one actually asserting it. Foucault also offers an explanation for this type of “anonymous power” held by the operator of the central tower, which is not seen, thus can be any public servant, part of the built-in architecture of surveillance, therefor the anonymity of the supervisors is a disciplinary mechanism of observation that is decentralized and its efficacy is improved. Contemporary innovations in technology and surveillance techniques have perhaps made Foucault’s theories even more realistic regarding the relationship between the state and its population. Foucault also relates panopticism to capitalism: the new surveillance such as CCTV cameras is panoptic mechanism used in liberal democracies , in evolved societies, and this exercise of power is done at the lowest possible cost, in order to increase both the docility and the utility of the elements of the system. But the growth of the capitalist economy , could be operated in the most diverse political régimes, apparatuses or institutions. The irony is that the surveillance is done by the citizens themselves, by their choice, voluntarly.It is not imposed by some evil bureaucracy or faceless corporations. It is a participatory result of our contemporary society. Still, to our private life it depends on our precaution how much we leave for observation, as for the urban space, it is less controllable as the restrictive panoptic space. This control cannot be completely hegemonic as there are always elements of resistance, that already happened (social movements, hacktivism, Anti-Acta, etc.). Surveillance can always be turned into counter-surveillance, the weapon of those oppressed by the intrusive and unverifiable power of panopticism.